Click the Red "Donate" button below to give to Crossroads. Click the Teal "Manage My Account" to manage your Donor Profile. 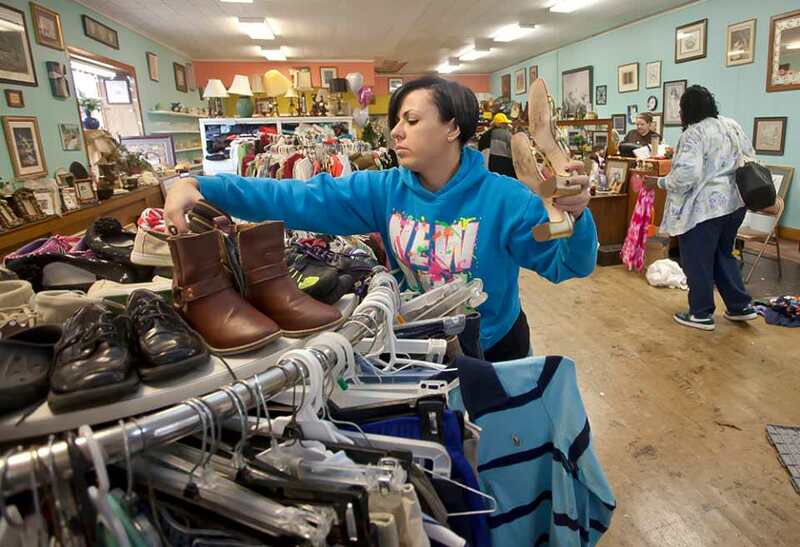 We operate a thrift store to help support living costs for our residents. Pray for our girls to be restored to their families and to lead healthy, productive lives as women of God. Pray for our leadership and staff to be successful in this important ministry. Contact Us today to give your time. We are in need of individuals and groups to volunteer their time as teachers, transportation to appointments for the women, and for projects and repairs at our homes. Please submit our housing application if you are in need of assistance. Your donations are vital to the ministry of Crossroads. We charge our residents absolutely nothing for our primary care services (up to the first 6 months), and a below market rent rate in selected cases after their first 6 months. We provide, food, clothing, personal products, shelter, transportation, Bibles, and materials for all classes for all our residents. In addition, we on occasion help out with other needs on a case by case basis. We have various levels of monthly financial support; Help Those in Need, Heal the Broken, Hope for Peace and finally Kingdom Builders. The Red Donate button at the top/right can be used to set up monthly credit/debit card or automated bank draft donations to Crossroads Ministries. Or Click Crossroads Giving Form.pdf to Download our Giving Form. Our financial statements are reviewed annually by the Independent Accounting firm of Matthews Cutrer and Lindsay, P.A. A copy of our 2017 Form 990 can be found here.